SS 317L Tubes, 317L Stainless Steel Pipes, SS UNS S31703 Pipes, ASTM A312 Stainless Steel WRN 1.4438 Seamless Pipes & Welded Tubes Supplier & Exporter in India. We are successfully ranked amongst the top manufacturer & exporter of high quality ASTM 317L Stainless Steel Pipes & Tubes. Our entire range complies with various national and international standards. These 317L pipes & tubes are available in SEAMLESS, ERW, WELDED and FABRICATED forms. We have been supplying high quality Stainless Steel 317L Pipes & Tubes with most advance technology and with most reliable quality. We place importance not just on managing material sales, but also on 'before' and 'after service'. SS 317L Pipes & SS 317L Tubes are more corrosion resistant austenitic relative of 316L, due to the higher percent of molybdenum. The additional moly gives Stainless Steel 317L pipes & tubes improved resistance to chlorides and other halides, particularly, and making it a strong candidate for use in offshore applications or in processing applications such as pulp and paper processes that contain corrosive environments. We stock and supply Stainless Steel 317L pipes & Tubes to meet the diverse needs of customers in varied markets and applications, seeks to be your preferred quality supplier of Alloy 317L pipes and tubes. 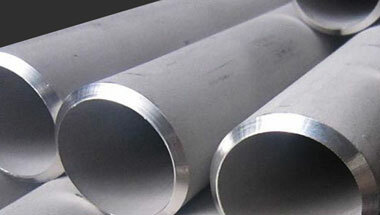 Our product includes tubes and pipes, SS 317L Pipes, SS 317L Tubes, Stainless 317L Seamless Pipes & Tubes etc. These products are available at best possible prices which is another important feature exhibited by our products range. Stainless Steel 317L ERW Pipes, SS 317L Seamless Tubes, Steel 317L Welded Pipes, Stainless Steel 317L EFW Tubes, Stainless ASTM A213 317L Seamless Pipes Manufacturer in India. Egypt, Tunisia, Sri Lanka, Venezuela, UK, Morocco, Angola, New Zealand, Peru, Azerbaijan, Bahrain, Australia, Ethiopa, Israel, Saudi Arabia, Iraq, United States, Mozambique, Vietnam, London, Russia, Ghana, Algeria, Colombia, Chine, Dubai, Mexico, Italy, Thailand (Bangkok), Indonesia, UAE, Houston, Sudan, South Africa, Canada, Africa, Malaysia, Brazil, Kazakhstan, Jordan, Argentina, Democratic Republic of the Congo, Germany, Uganda, Iran, Trinidad and Tobago, Turkey, Nigeria, Kuwait, Cameroon. Jeddah, Kaduna, Accra, Port Elizabeth, Singapore, Mecca, Rabat, Port Harcourt, Fez, Data from the UN, Kolwezi, Giza, Manama, Dakar, Lusaka, Zaria, Bamako, Ouagadougou, Cairo, Maputo, Durban, Amman, Jerusalem, Bulawayo, Luanda, Kano, Yaoundé, Conakry, Mogadishu, Aqaba, Lubumbashi, Khartoum, Tripoli, Soweto, New York, Kinshasa, Tel Aviv, Dubai, Tehran, Hong Kong, Pretoria, Ibadan, Nairobi, Abu Dhabi, Algiers, Casablanca, Addis Ababa, Cairo, Subra al-Haymah, Freetown, Omdurman, Johannesburg, Doha, Kampala, Maiduguri, Mbuji-Mayi, Harare, Dammam, Beirut, Cape Town, Abidjan, Byblos, Lagos, Douala, Benin, Brazzaville, Muscat, Bethlehem, Colombo, Sharm el-Sheikh, Alexandria, Riyadh, Istanbul, Dar es Salaam, Antananarivo.